I brought Marry Mistletoe after reading the blurb and thinking this is the perfect short read for a cold winter ish night/ evening because I couldn’t wait until actual night to start reading this book. I have to say I fell in love with this story and the characters especially Amos the man who goes where the wind takes him too. He really felt like a special wise with a heart of gold kind of character. The story itself is about Freya who lives in a place called Appleyard and was going through the heartbreaking task of having to sell it and move on. After living there for so long with her dad who had passed away. Will she find the right buyer for the place or can Christmas miracle happen and she get to stay in her home? Read this feel good story to find out. I thought Sam was a great character too and I liked how all the way through I was rooting for him to step out of Stephens shadow and grow his own path. I think Amos rubbed off on him a wee bit by then end. Emma does an amazing joy at making her story feel magical and emotional, with characters that are really unforgettable. This is the perfect short read leading up to Christmas. I might even read this one again on Christmas Eve. 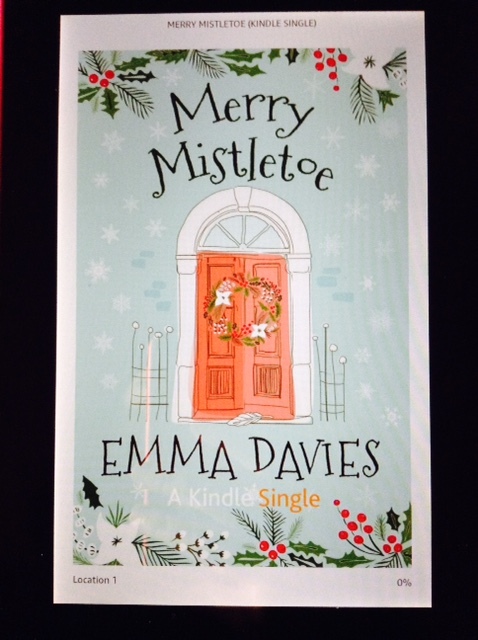 I would recommend this story if you love a feel good Christmas read, with character who will pull you to them and make you want their dreams to work out as you follow them through mistletoe gathering and clearing a path for new love and friendship to grow. If you would like to give this book a go you can buy it on Amazon. ← Eliza Crisp And The Abominable Snow Company Author Julie McKay Virginie Degorgue. Thanks, Marry Mistletoe was a really great read I thought. I hope you’re having a nice Monday. I’m enjoying reading these Christmas posts. It has really been getting me into the Christmas spirit this year. Do you have your tree up yet? Thanks Hun, I love Christmas it’s such a wonderful time of year isn’t it? I don’t have my tree up yet, but should do soon.